Is there anything better than crafting with friends?! Over the weekend, Elmers sponsored a little crafting party (several, in fact!) for some of my family and friends. They really did spoil us, so thank you, Elmers!! I'll share some more details on that later this week. Seriously--how did the Fourth of July creep up on me this year?! 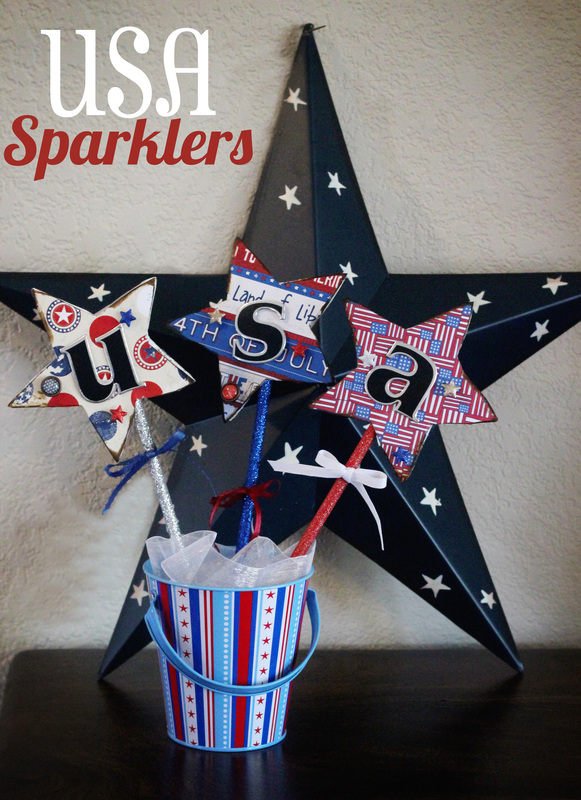 I love the Fourth of July--the sparklers; the heat; the stars and the stripes! And my favorite part: We always make a scrumptious batch of homemade ice cream! Now we have a little something to help get us in the patriotic spirit! 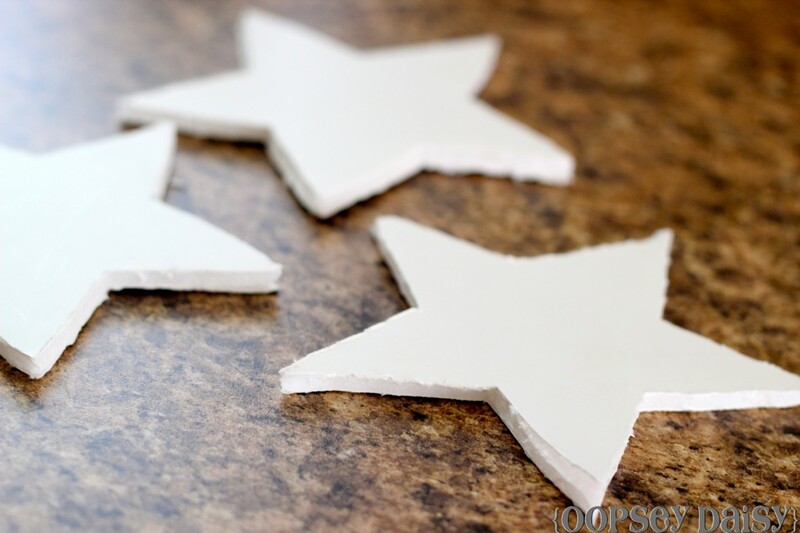 We started out by using our razor blades to cut out 3 stars from our Elmers foam board. After tracing them, we used Tacky Glue to adhere patriotic scrapbook paper to the fronts and backs of each star. We used a bit of distress ink for a special homey touch! I found these red, white, and blue sparkling pencils at Target. 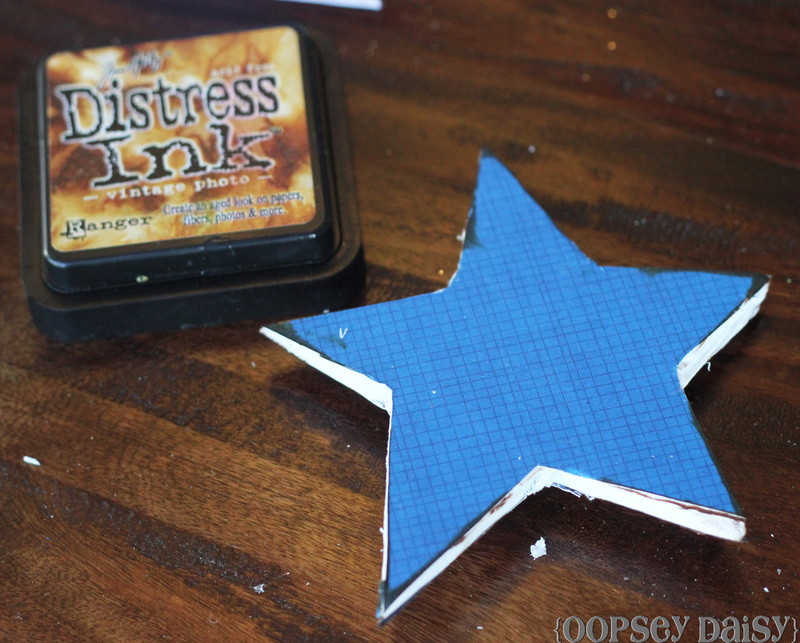 After carving out a small hole in the bottom of the star, I slid each pencil right on inside and sealed it up with a dab of hot glue. 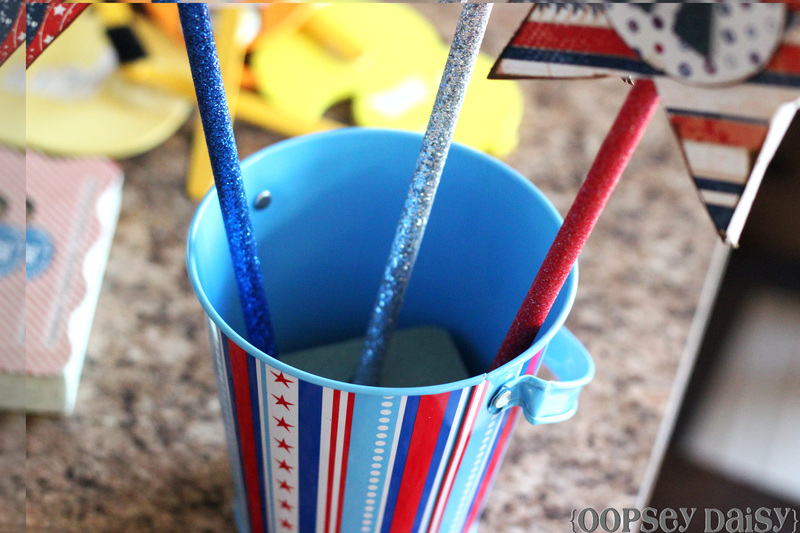 I found this cute patriotic bucket in the dollar section at Target--please tell me you love Target's dollar section as much as I do! I honestly drive to Target for sheer entertainment, and it's all because of the dollar section. I added a bit of floral styrofoam to the bottom of the bucket and arranged the pencils, staggering them just a bit. Remember the sister who loves to embellish?! 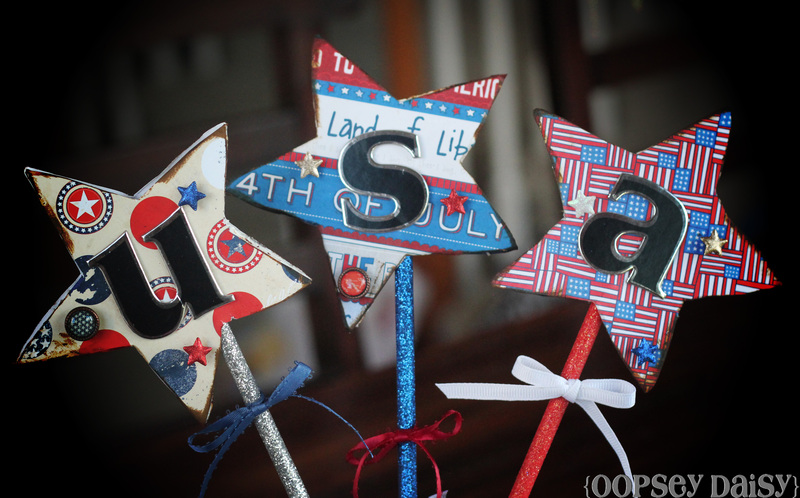 She added red, white, and blue ribbons to each sparkler. 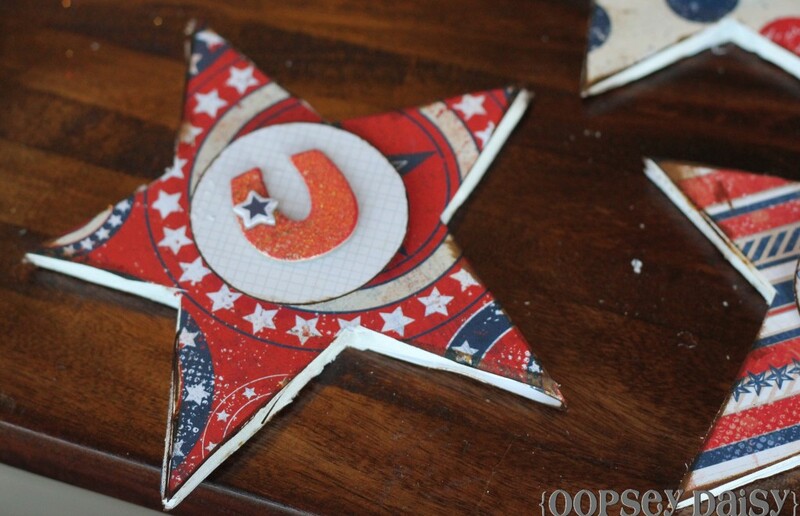 Her chipboard letters were a bit different, and she added some star brads and buttons. Cute, eh? She added a bit of loose ribbon to cover the styrofoam--genius! It was the perfect touch! 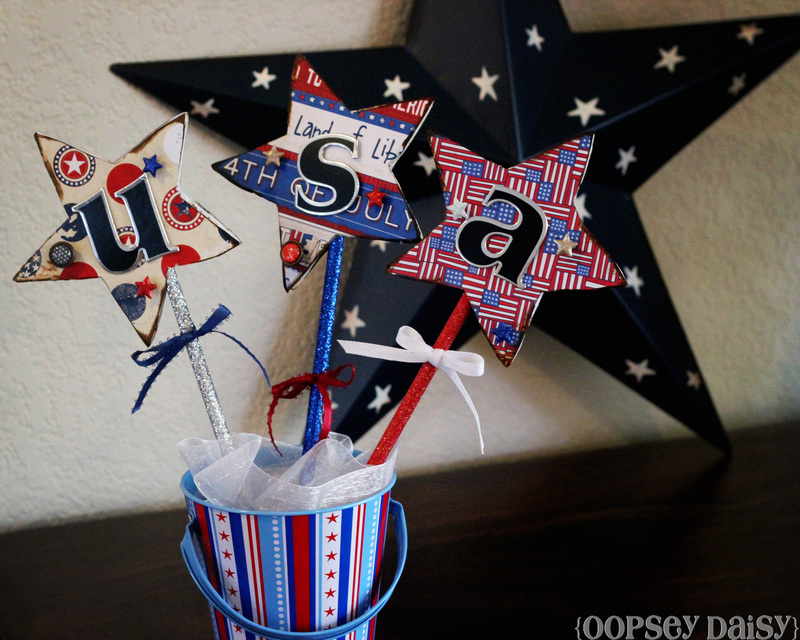 How do you decorate for the Fourth of July?? 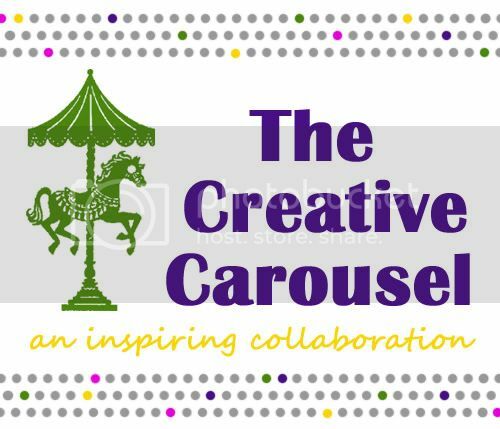 I'd love to see your projects! These are too cute! I hadn’t heard of Elmers foam board. It looks like fun stuff! You girls did a great job decorating! I think I like this overembellishing sister of yours! lol! Way cute! Those would be darling on my table as a centerpiece! Thanks for sharing. Just too cute! I love the sparkly pencils as well. Really makes the display festive. 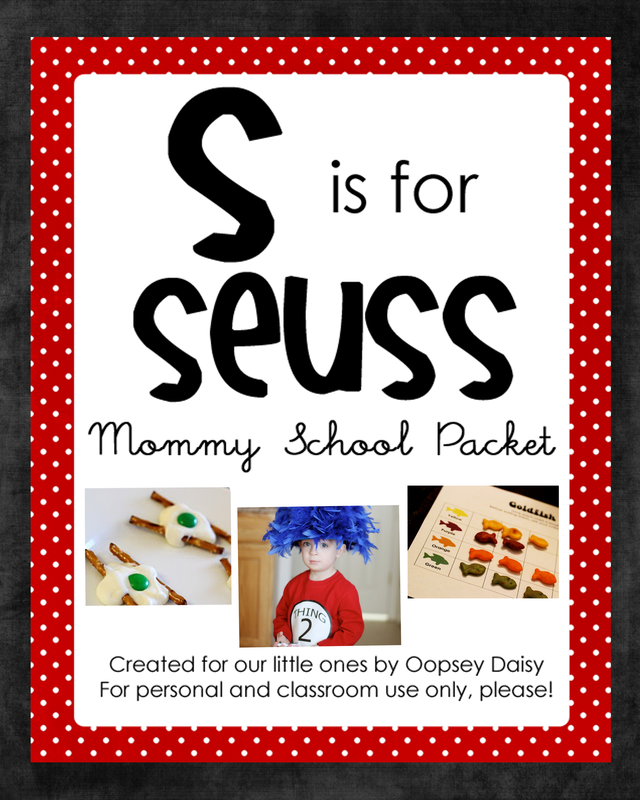 Cute idea. I like projects like this where you either already have the supplies or can grab them from somewhere close like Traget…I’ve been a slacker this year and have done NOTHING for the 4th of July this year. The sister who loves to embellish has such great taste! Wow! I just love this! 😉 Thanks for all your help Al! Couldn’t have done it without you! That is super cute! I have ZERO 4th of July decor up! All well! 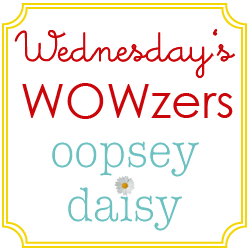 Thanks for linking up to this week’s Catch a Glimpse party. 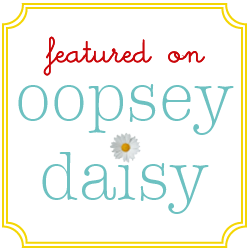 Alison – these are awesome!!! I totally agree…July just seemed to creep up on us. Thanks so much for sharing! Have a wonderful weekend. I am having a Red, White and Blue Linky Party that I’d love for you to join in on by adding your link!